Yoga has the ability to refresh, reset, and rejuvenate mind and body. Every time we step onto the mat, we step into the present moment. Here, we find strength, peace, presence, and a fresh start. You can practice this midday yoga flow when you need a boost of energy, or any time you’re looking for a short and sweet, feel-good flow that will challenge, strengthen, revitalize, and stretch you out! This class is designed to be practiced as a warm or even hot yoga flow (just an option, but we recommend it!). Move through a series of strengthening poses, full-body stretches, and movements to counteract sitting at a desk, hovering over a computer screen, and all the physical – and mental – stress that comes with it. This is the perfect yoga class to take when you need a break! Join YogiApproved teacher Tabor Bonde as she guides you through an energizing, balancing, full-body midday yoga flow that’s sure to reset your mind and refresh your day. 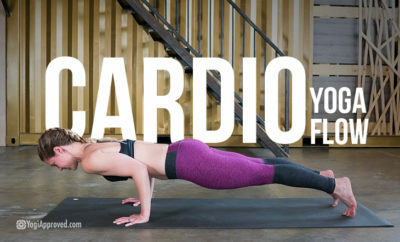 All you need is a yoga mat! And if you’re looking for even more of a reset, consider cranking up the heat in your home or hotel room so you can get the added benefits of a warm yoga practice. This class is designed to be practiced as a warm or even hot yoga flow (just an option, but we recommend it). Enjoy this energizing, balancing, full-body midday yoga flow. Namaste! If you have any questions about this midday yoga class, please comment below – we love hearing from you! Did you like this free yoga class? Be sure to hit the like button, leave a comment, and don’t forget to subscribe to our YouTube channel so you never miss another YogiApproved video. 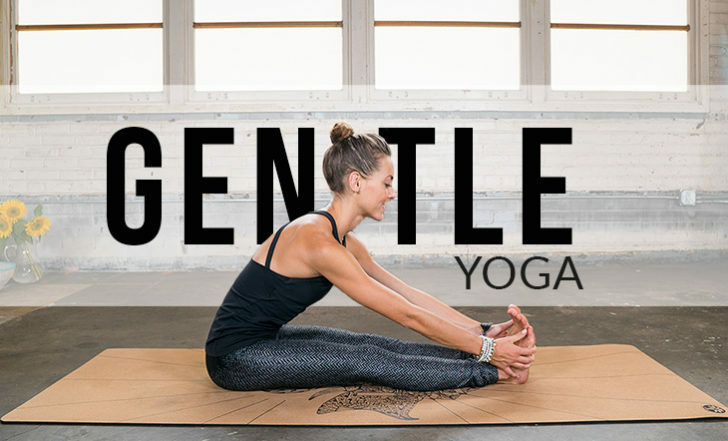 Gentle yoga is a great way to slow down, connect with your body, and calm your mind. Enjoy this juicy gentle yoga flow for all levels of practitioners.